You will never forget another dose with this Weekly Pill Reminder. The compartments easily hold a daily dosage of medication or vitamins. Each compartment is enough to hold the medicine. Made of durable plastic with easy-to-open, tight-fitting lids. Each compartment lid indicates the day of the week by letter and Braille markings. A great way to get organized without the hassle of opening several different bottles every time you need to take your vitamins and medication. Simply fill once a week and all of your medication and vitamins will be in one handy location. Also works great for organizing fishing lures, hooks, sinkers, washers, beads and other small items. You Could chose the right size for your need, we have 3 compartment, 4 compartment, 5 compartment for you to pick. Ideal for Vitamins, Medicine, Pills. 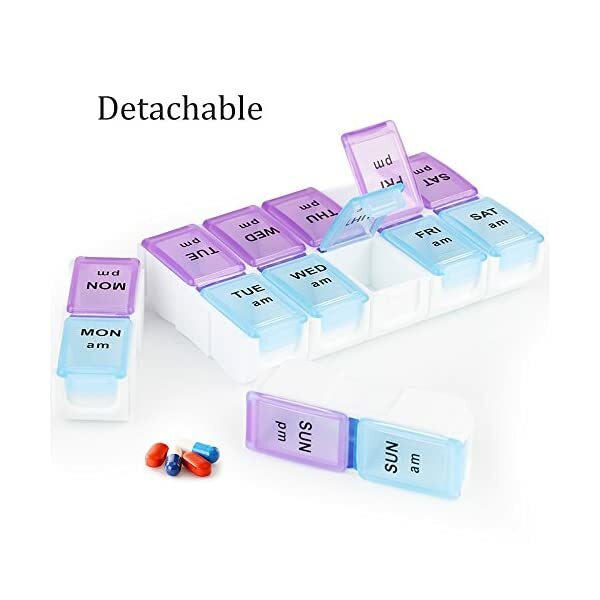 Pill case for 7 days - with daily compartments for pushing out. 4 compartments for each day - morning, noon, evening and night. 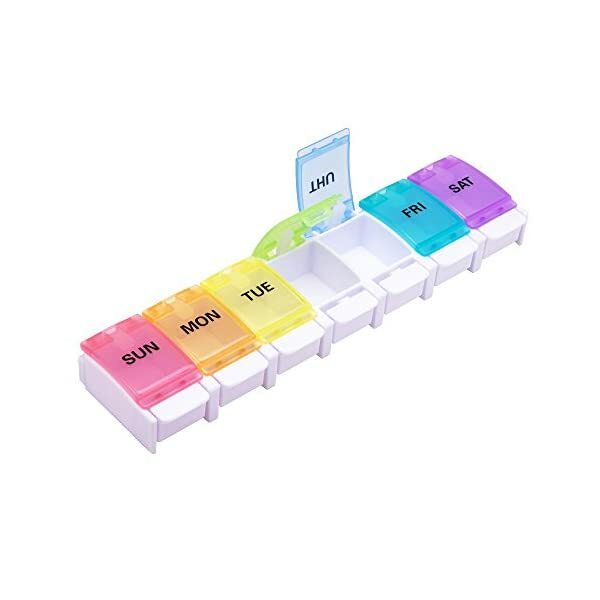 ✅ A TRUSTED CHOICE IN PILL BOX ORGANIZERS: The problem with other daily pill organizers is that the lids do not tightly lock or stay closed. 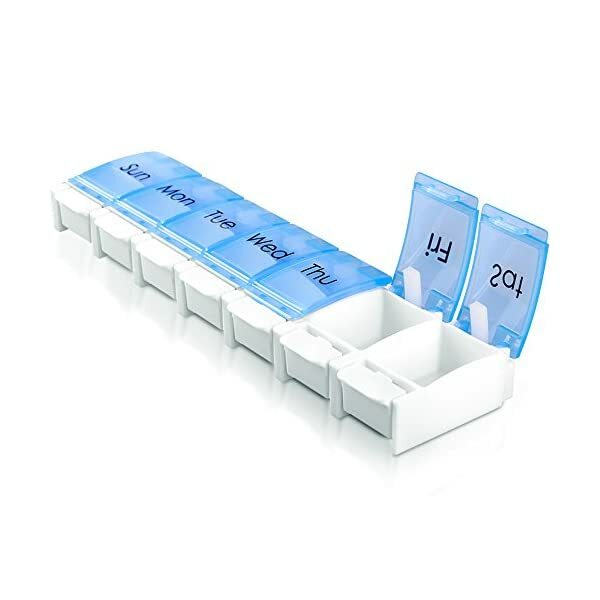 Our MEDca Weekly Pill Organizer solves that problem! Why? 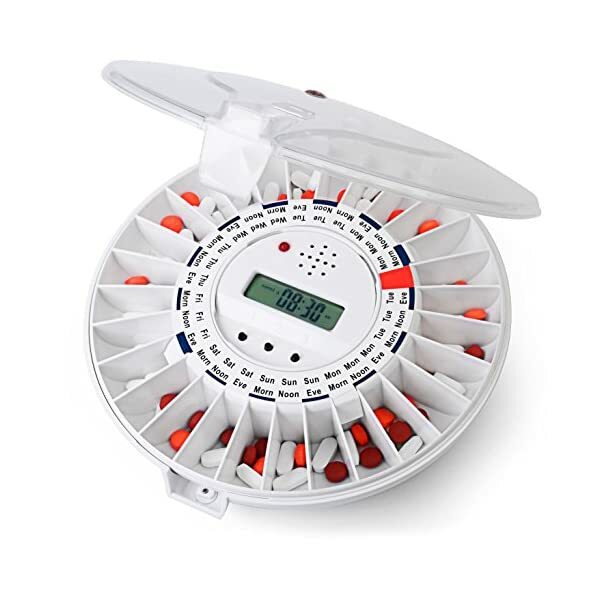 Thats because the MEDca Weekly Pill Organizer has a locking storage case that holds your pills or vitamins from Monday - Sunday which means that you never have to worry about loose pills falling out or getting lost in the bottom of your purse. So you can be more organized all the time! BEING BPA-FREE, our products are made of food-grade plastic and suitable for medical purpose. 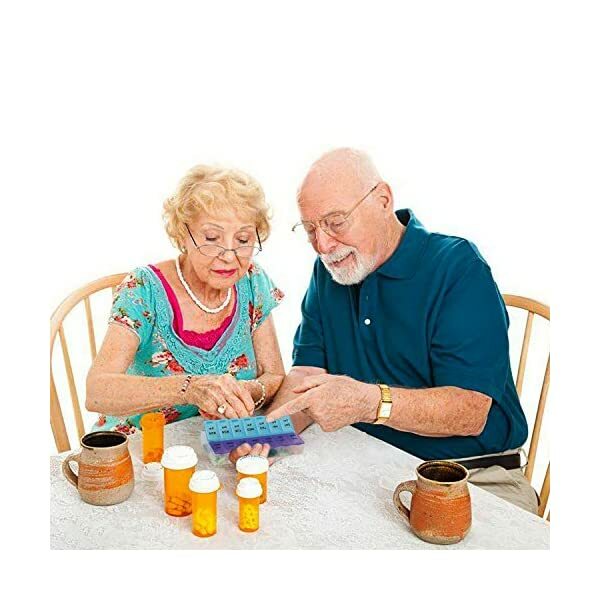 EASY TO OPEN, the button opening is designed especially for people with arthritis, children and seniors, upon a light touch of which, the pillbox will open automatically. FULL REFUND WITHIN 30 DAYS is guaranteed in the event of dissatisfaction. 【SPECIAL DESIGN】Our pill organizer is DETACHABLE. 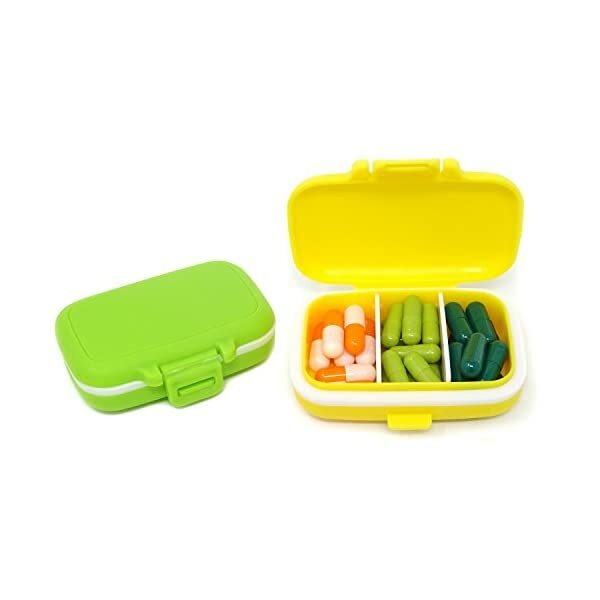 And it includes fourteen large compartments and lets you store medicines or vitamin in bulk. 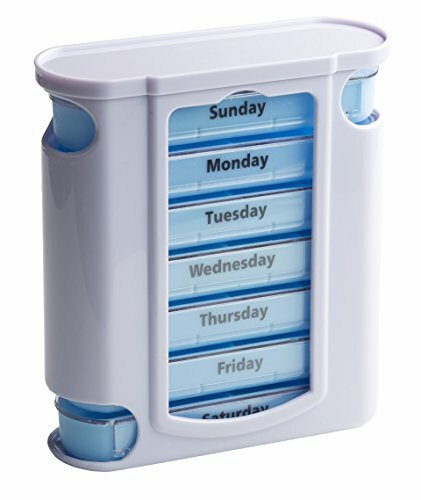 【MULTIPURPOSE】Our pill box can be used as 7 day or REMOVABLE DAILY PILL BOX. And you can easy to put the daily pill box in your pocket. 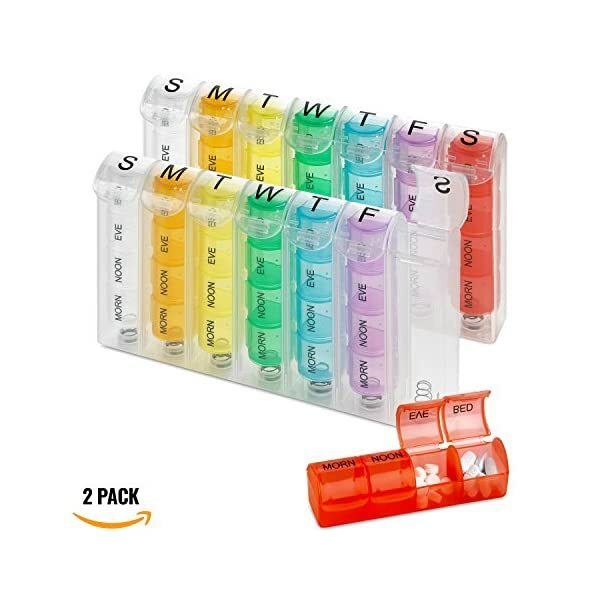 7 DAYS MEDICATION PLANNER: 7 compartments with rainbow colors and week day lables, make managing your weekly prescription medicine simple. EASY TO OPEN: Push button design, press gently with your thumb on the front of the container and the lid pops open. DURABLE & SAFETY: Made of high quality plastic, BPA-free, safe for medical use.